SAN FRANCISCO, CA. - The Women's Eagles Sevens have completed their run at Rugby World Cup Sevens 2018. After a challenging final game against Australia that saw the 2016 Olympic Gold Medalists present a tight defensive formation, the USA had trouble breaking gaps and ultimately fell 14-24 in the Bronze Final. Though it wasn't the win they wanted, the United States has shown a grit and resilience that captivated fans at AT&T Park. The squad now looks ahead to the start of the 2019 HSBC World Rugby Women's Sevens Series where they'll kickoff competition at home with the 2018 HSBC USA Women's Sevens tournament, Oct 20-21 in Glendale, CO.
"Coming in here we had a lot of heavy stuff put on us [with] things happening last minute. 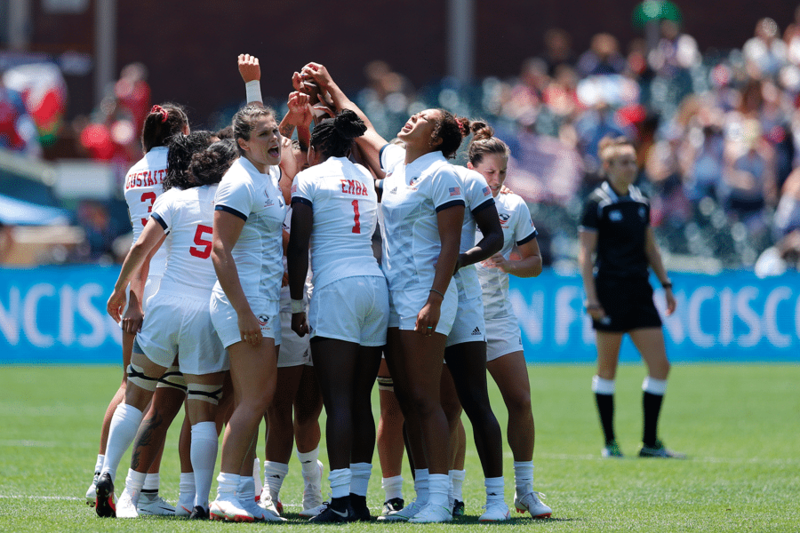 Nothing really went as planned besides all 12 of us on the field so I think that's something magical," says Naya Tapper, who finished as the second highest try scorer in the entire tournament. 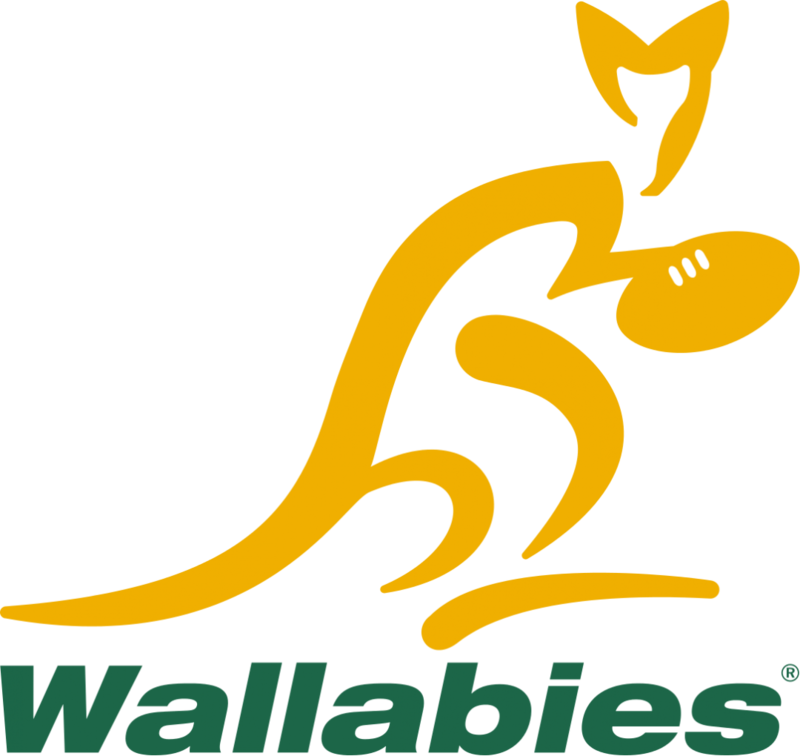 It took several minutes for either team to make it across the tryline with USA having two strong opportunities that were cut short by the tight defensive positioning of the Aussies. USA Captain Nicole Heavirland made a convincing run from an Australian scrum, tossing to Abby Gustaitis who seemingly dotted down before the TMO called back the try. With two minutes remaining in the half, Australia's Evania Pelite finally ended the drought with a clean run across the pitch to notch the first points, 0-7. The score pushed momentum in the Aussie's favor who's defensive antics continued to prove too much for the Women's Sevens. As time ticked on and halftime loomed, USA finally found the space to break ground on the scoreboard. A Lauren Doyle-Jordan Gray relay fell to Naya Tapper who set her sights on the try zone and finished the job, 7-7. By this point, the score was still tight and either team had a fair chance of pushing momentum in their favor. However, when play resumed, the Aussies continued to threaten and the game got away from the home team. Australia would notch two consecutive breakaway tries from Cassandra Staples and Ellia Green before Naya Tapper could break free and score again to give her teammates a glimmer of hope before the final play. But, when Green made another clean break hersel and time expired with the Aussie's on top, 14-24. Though they didn't make a trip to the podium this weekend, the Women's Sevens delivered an incredible athletic performance to fans AT&T Park. Now looking ahead to the start of the 2019 HSBC World Rugby Women's Sevens Series, the United States will set their sights on beginning an Olympic qualification year at the 2018 HSBC USA Women's Sevens tournament. The tournament kicks off Oct 20-21 in Glendale, CO at Infinity Park, home of the Glendale Raptors of Major League Rugby. Ticket information for the event will be announced in due course.